Grounded in our unique model of family leadership in education, the Annual IDRA La Semana del Niño Parent Institute is an event where families lead each other in advocating for equitable and excellent education in their communities. 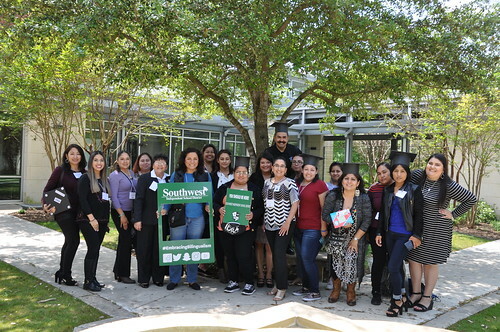 This annual institute offers families, school district personnel and community groups from across the country the opportunity to network, obtain resources and information, and receive training and bilingual materials on IDRA’s nationally-recognized research-based model for parent leadership in education. The institute is interactive and participatory. All presentations are bilingual (English-Spanish). Click through the photos from our 2019 Flickr page here or go directly to Flickr to download pictures of your group! This year’s institute, funded in part by the IDRA EAC-South and by the W.K. Kellogg Foundation through IDRA’s Texas Education CAFE Network, highlighted family engagement as it relates to the Every Student Succeeds Act (ESSA). Slides and handouts from most sessions. We are All Advocates – Influencing Policy for Education in Texas, led by IDRA National Director of Policy, Morgan Craven, J.D. Find out why IDRA’s Parent Institute is so Powerful! Families Engaging Each Other to Improve Schools – IDRA’s Annual La Semana del Niño Parent Institute, by Frances Guzmán, M.Ed. Re-Energize, funded by the U.S. Department of Education.